The 10 Best Spas in Utah! In a world of constant movement, we could all use time to unwind. 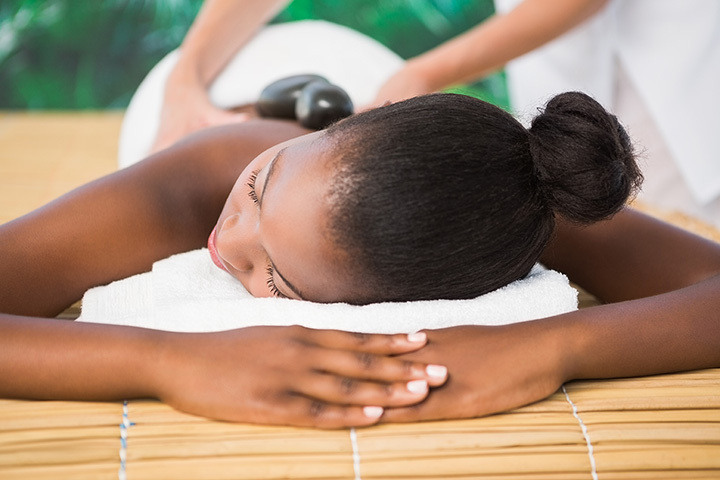 Whether you’re craving a vigorous massage or rejuvenating clay wrap, one of these 10 great spas in Utah will likely meet all of your needs. Although Sundance Mountain Resort is often left in the shadows of bigger and “fancier” Utah resorts, there’s no arguing Sundance has one of Utah’s prettiest backdrops. The only way to make it better? Check out the resort’s spa, which will leave you feeling like a free, mountain wanderer totally in tune with the colors of the wind. While spas in more natural settings are typically considered more relaxing, spas in the city offer a convenient welcome respite from the hustle and bustle of everyday life. The Grand Spa at the Grand America Hotel is one such spa. After having received a facial, an infusion massage, and a “Grand Pedicure,” you’ll come away feeling ready to conquer all your demons. A bit cheaper than the spa at Sundance, the Cliff Lodge at Snowbird is equally scenic. Due to the size of the spa (with 21 spa rooms), it feels slightly less intimate, but its accessibility and mid-Mountain ambience makes it extremely popular for Utahans and tourists alike. Zermatt Resort is a like a quick little getaway in Switzerland. The only difference? You’ll also have all the American creature comforts you’re used to. You can’t miss the cozy resort’s spa, whose hallmark service is the “Olympus Mud/Clay Wrap:” An application made of 70 trace minerals to nourish and enrich your skin. Those who have spent time in Japan always return to the United States missing the country’s spa and bath services. Luckily, Utah isn’t completely void of Japanese inspired relaxation methods. The Kura Door Spa is known for its “Ofuro Bath,” which will allow you to wind down in a way you have never before. The cost for a 45-minute bath is only $49. The Basalt Day Spa in Salt Lake City is an up and coming boutique day spa with clean and contemporary vibes. The spa feels like a millennial’s take on tried and true forms of relaxation—the interior is visually enticing and customers are treated like royalty. Basalt will really leave you feeling your best. With three locations in Salt Lake Valley, Sego Lily Day Spa takes its name from Utah’s official state flower: The Sego Lily. Against all odds, this flower has thrived in Utah’s deserts for centuries. Ideally, your time at Sego Lily Day Spa will also leave you feeling like just that: A flower in bloom despite severe opposition. Most people deliberately come to Park City for the purpose of relaxing. Most ski-side resorts have their own spas, which makes services particularly convenient. That said, sometimes, it’s better to go to a less crowded and more affordable spa. If that sounds appealing, Park City’s Align Spa is right up your alley. Located in the hip Avenues neighborhood of Salt Lake City, the Avenues Day Spa is expert in acupressure and aromatherapy. Not convinced these methods will help you destress? The spa also offers more classic massages to fulfill a variety of needs. Green Valley Spa & Resort isn’t just an experience, it’s a getaway. Staying at the resort is cheap, but your time there will feel like luxury. The bedrooms are white, the pool is turquoise, and a rainbow of flowers accents the resort’s Spanish style architecture. This place is perfect if you want an extended spa experience without breaking the bank.